GEM MINT 10!!! 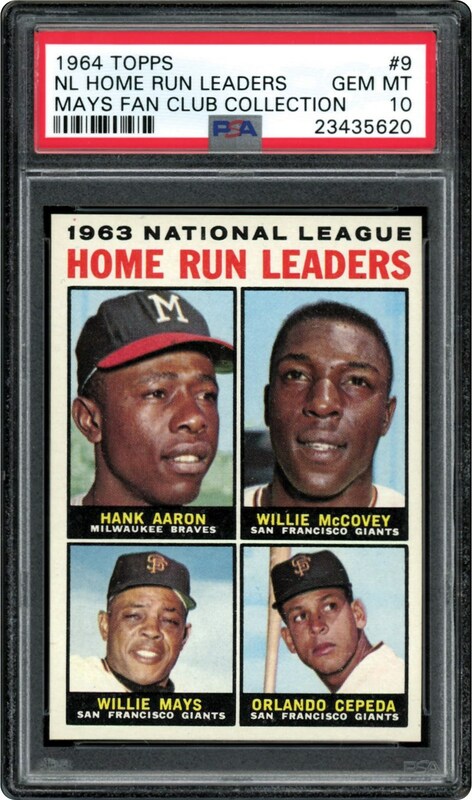 Highest graded example from the "Mays Fan Club Collection", this one displays 4 of the games greatest players on 1 card. Aaron, McCovey, Cepeda and Mays. 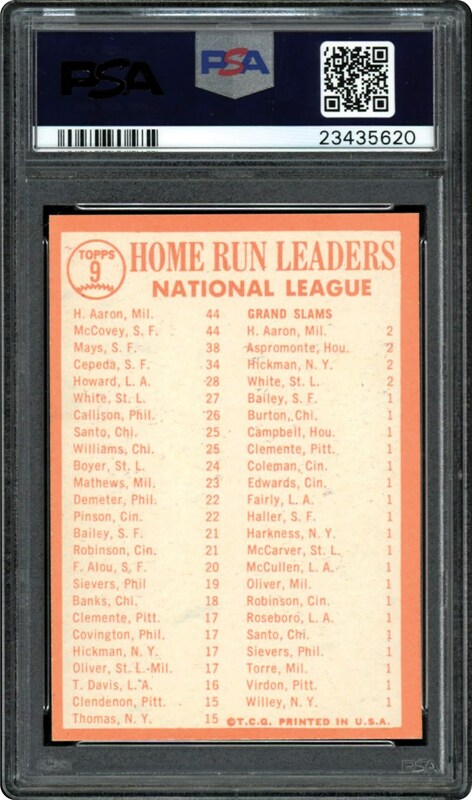 Bid Strong on this POP 3 card from 1964. Can't get any better than GEM MINT 10. Take a chance on this GEM MINT 10 example that was issued 55 years ago!! !